Your Gateway to Living the Life of Your Dreams! Getting started on your journey of achieving the American Dream and waking up from your American Nightmare means getting your finances in order. In my last article, I told you about some budgeting tools that you could use to help you take control of your finances. Now, I’m going to share with you some best budgeting techniques I’ve found to help you get started. I’ve realized it’s not enough to just give you the tools for budgeting or to say that you need a budget. You need to know how to budget. In my search of some of these budgeting techniques, I found that some techniques are very easy. Others are not so easy. And one of them, I’ve actually done, but I didn’t realize that I was doing it. However, there are a couple of things that I discovered about each of these techniques that we should take into consideration. Budgets are a battle of the mind: A budget is more than just a way to organize and prioritize your financial life. It’s a way to change how you think about money. No tool, program, person, book, blog, or business about getting out of debt or becoming wealthy will work if your mind is not right. I’ll admit, this is the hardest thing to change. But, it’s not impossible. As we work on building a budget, we will also have to work on creating better habits. Budgets are meant to be flexible: The previous point leads into this one. There are many budgeting techniques out in the world. Some will work for you. Other’s won’t. But, what I’m finding is that, just like in my previous article, we shouldn’t be married to one single technique. Try different techniques out for yourself and see which one works best for your situation. While your at it, don’t be afraid to mix these techniques into something that works for you. Budgets are your mirror: This final point builds off of the last point. I liked how this author drew a comparison between budgeting and dieting. Essentially, budgeting is a diet for your finances. However, the difference is that dieting can reveal physical changes of your progress. I think that budgeting can be a way to help you identify what is more important to you–giving you a deeper insight to who you are. So, without further delay, let’s get started with some budgeting techniques that I’ve found and have tried! This technique reminds me of what a squirrel does. The fury little animal will find nuts and dig them into the ground or store them away in a tree for later. Then, when winter comes, the little squirrel goes to where he stored his food and gets ready for a long cold season. I think of the Envelope Method as being like a little squirrel–you take a little of your money, store it somewhere, and then get it later when you need it. I first heard of the Envelope System through Dave Ramsey’s Total Money Makeover audio book. It’s the system of choice for his get-out-of-debt program. The concept is simple. You create envelopes for different expense categories such as groceries, bills, gas, etc (I’m not using a metaphor… you use ACTUAL envelopes). When you get money, you cash it out and stash some money into certain envelopes. When you go out to take care of something, you use the money that’s available in the envelope. If you don’t have it in the envelope, you can’t spend it. I’ve seen many apps that digitizes the concept of the Envelope Method. I’ve personally tried a modern spin on this system by having a reloadable gift card that I used only for eating out. Anyway, I’ve heard that this method is more effective when you don’t use a debit/gift card and you use cash. I remember Dave Ramsey saying in The Total Money Makeover that you get a much more tangible feel of loosing money by spending cash. I can see that. I think the Envelope Method is a great simple way to understand the importance of money management. It can help you prioritize and limit your spending. Also, I can see how cashing your paycheck and setting it aside can also help make spending money feel real. We always use our plastic cards (now, for some of us, our phones and watches) to pay for things which is very easy and convenient. However, that convenience is partially to blame for us being in our American Nightmare in the first place. To physically see money slip through your hands as you go to buy things can be an eye-opener. Plus, going through the extra trouble of cashing your money can help develop a certain appreciation for the hard work you did to get it [legally]. I won’t give “cons” to each of these techniques because some techniques might work for you. Some of them might not. None of these techniques are “bad” or outdated. You have to decide what works best for you. I can only share with you my experience with the method as it only pertains to me. It’s up to you to find the best method for you! With that being said…. the Envelope System was too much of a hassle for me. I’ll be completely honest with you, I didn’t literally put cash money into the envelopes. I’m a millennial. I like plastic. It’s convenient. So, I tried a digital variation of the Envelope Method. As I said earlier, I used a variation of this system by using a gift card for going out. I’ve thought about revisiting this method again, but using gift cards for specific restaurants or stores and just directing a portion of money into certain cards. However, it’s not possible to automatically put money on these cards from your bank. It would take the same amount of effort to deposit money on to each card as it would to go to the bank and cash your paycheck (in which most paychecks now are direct deposit, so you’d have to withdrawal your paycheck every couple of weeks and stroll away from your bank with hundreds of dollars of cash in your pocket). Despite my personal pitfalls with this method, I do plan to revisit it again and try to make it work for me and my lifestyle. If you’ve tried the Envelope Method and it’s worked for you, I’d LOVE to hear your thoughts. Or, if you’ve tried it and had a similar experience, I’d LOVE to hear from you, too. Leave me some comments below! Otherwise, here are some more techniques. Keep It Simple, Stupid! A mantra we could all live by in this world. Sometime, we have the tendency to make something that is supposed to be simple very complex. The result is that once it’s complex, we get burnt out. That leads to us leaving it alone, which then leads to us falling right back into the same old habits that got us in trouble in the first place. From some comments I read on my last article, that seems to be very true when it comes to budgeting. Yes, budgeting can be a chore. What if there was a method that existed that made budgeting simpler? Thanks to Senator Elizabeth Warren and her daughter Amelia Warren Tyagi, that method now exists! It’s called the 50/30/20 rule. I honestly did not learn about this rule until I started researching different budgeting techniques, so excuse my being in a bubble. This is actually a very popular technique that was outlined in their book All Your Worth: The Ultimate Lifetime Money Plan. You split your cost into 3 categories: needs, savings, and wants. Needs gets 50% of your income, savings gets 30%, and wants gets 20%. Your needs are things that you absolutely cannot live without, such as rent/mortgage, car, groceries, insurance, etc. Savings are kind of like your goals such as an emergency fund, college tuition (payment or savings for children), credit card debt, etc. Wants are exactly what you think, anything you can live without. This method does seem very simple. I can also see how this method can help reinforce 2 things I’ve heard wealthy people and financial experts say. One is to always pay yourself. The other is to have an emergency fund. Also, I think the strength of this technique lies in 2 things: 1.) It’s simplicity and 2.) establishing priorities. The Envelope Method is simple and it helps establish priorities, too. However, I think this technique’s foundation is on its simplicity. You aren’t bound by a bunch of categories, you only have 3. And those 3 are already prioritized in a way that makes sense for living a less stressful life. One thing that I can see that this rule could cause some issues is if you don’t have enough income to cover the 3 categories sufficiently. That means that you’ll have to let some things go. My assumption is that you would have to start with your “want” expenses first to make sure that you have enough to cover all the expenses in the other two categories. Also, if you aren’t carefully watching your spending habits, I assume that this rule could also lead to overspending (which is what probably got you into trouble in the first place). As I said, I personally have not heard of this budgeting technique so I have not personally tried this technique. But, based off of what I’ve read so far I think it is one that we should definitely consider. I can see that you can use this technique to help you figure out what your priorities should be. I recently read an article about how easy it was for people in low-income areas to obtain the American Dream based off of where they grew up. The American Nightmare is seemingly never-ending where I am, which is in the South. And it’s unfortunate. For many people living in this area, in order to wake up from the American Nightmare they have to do somethings that makes matters worse. One of those things is accumulating debt. Robbing Peter to pay Paul just so we can afford to keep up with the Jones’. I almost fell into that big trap, personally. I’m still paying for it with credit card & student loan debt. But, I almost became a victim of payday lenders which would’ve REALLY screwed me up (thank goodness I was shown Rich Dad, Poor Dad before going that far). But, now, I’m in a better place. Thanks to a simple income-shifting strategy, I’ve earned a little of extra money in my paycheck without asking for a raise. But, what to do with that extra money? Pay down debt, maybe? Yes, using one of the most highly recommended techniques for doing so, the Snowball Method! The Snowball Method, in theory, is actually quite simple. I first heard about this method from Dave Ramsey (yes, the “envelopes” guy.. in the same audio book). First, calculate how much money in debt you have. Next, organize your debt. Then, put your excess money down on your first debt item until it’s paid off. Finally, you take the excess money that would’ve been used to pay on your first debt and you add it to your next debt until it’s paid off. You keep adding your excess savings to your next piece of debt until you’re debt free (hence “snowball”). THEN, you can take the savings and invest it into assets (stocks, IRAs, bonds, savings, etc). I’ve seen that there are 2 ways to organize your debt. You can do it in order of interest OR in order of the amount you have to pay back. While the other methods focus on your entire lifestyle of spending, this method focuses on one thing and one thing only–your debt. As far as I’m concerned, you can spend your money on anything else, as long as you aren’t piling up more debt. This method can save you A LOT of money in interest, which is what entrepreneur Brian Beane calls a Bloody Mess. It can keep debtors from making a nearly 90% profit off of you. Also, if you use Dave Ramsey’s Total Money Makeover process, this method combined with his envelope method could help you wake up from your American Nightmare twice as fast. I must stress this point: YOU DO NOT STOP PAYING YOUR OTHER DEBTS! 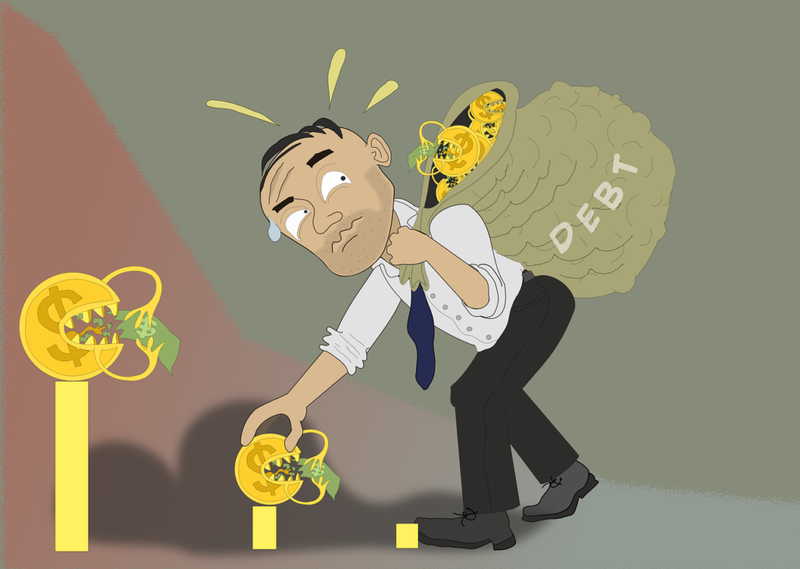 While trying to work on paying off one debtor, you are still paying at least the minimum balance of your other debts. So, hindsight, debtors still make money off of you (just not as much). Also, you could be prone to overspending which could cause you to no make your debt payments, which can drastically hurt your credit score and potentially cause problems in other areas. Ramsey also doesn’t introduce this method to you (spoiler alert) until you first have started an emergency fund. Again, I think this method is very simple. Plus, it help you to get to the point where you can save money. I’ve found out that it’s a lot harder to save money for a simple savings account when you’re in debt, making the American Nightmare much worse. So, this method can help you get to the point to save money. As I said earlier, I’m a Millennial. But, please, don’t think for one second that I don’t work hard. I do have a Full-Time job that I have to get up to and drive to everyday. I don’t sit at a Starbucks all day behind my laptop drinking a Unicorn Frappe, eating an avocado toast, while complaining on my Snapchat video that I have to work hard. Plus, I don’t live with my parents. In fact, I have to be at work at 3 AM at the time of me writing this… so I’m about to wrap this article up so I can get plenty of sleep. (Sorry… I had to rant a little about the misconceptions of my generation, lol). BUT, I will admit that I do like things to be on autopilot. So, when I found out about the No-Budget Budget, I was intrigued. Going back to my point of having to go to work. At one time, I actually had 2 jobs that I was juggling throughout the weekday. One was on a college campus. The other was at a car dealership (I was not a car salesman, by the way). I was making RIDICULOUS money! But, I had very little time to enjoy it or manage it. So, I basically tried to get as many things automated as possible and just focused on making money. I had no idea that I was doing the “No-Budget” Budget. Basically, you put as many things on autopilot as you can and then make sure that you have the money to cover it in your bank account. No categories. No goals. Just automate and go! You’ve probably noticed that the further down this list you go, the simpler these budgets get. I honestly didn’t plan it like this. But, I’ll roll with it. This budget is INCREDIBLY simple. You don’t have to worry about overspending in a category. You don’t have to mess with percentages. You just simply automate and go. Even though this is, by far, the easiest budget on this list… take EXTREME caution. This budget ONLY works if you are already financially responsible. How do you know if you’re already financially responsible? If you’re not in debt and you’re making enough money where you don’t worry about bills–I’d say that’s a great indicator. You are the most prone to overspending using this technique. In fact, when I had two jobs, was able to save enough to start my emergency fund. But, because of my overspending, I lost all the money that I saved. My experience with this method may not be yours. You can do it on a smaller scale. That’s what I’m doing currently. If I don’t have control over when I can automate the payment, I generally drop the expense OR I drop the automation service. I’d say that if you use this technique, keep a close eye on where your money is going. I’ve always believed that human beings were designed to make choices. If we aren’t allowed an opportunity to make a choice, bad things happen (watch The Matrix). I say that to say this. I can tell you that one of these techniques will help you get out of your American Nightmare, but I’d be lying. Also, I’d be lying to you if I told you that these 4 are the only best budgeting techniques out there. There are many more techniques that appeal and work for different types of people at different stages in their lives. My final advice is to don’t try one technique. Try multiple ones. Combine them. Experiment with them. Find a technique that work best for your personal situation that helps you reach your personal financial goals. Then, drop that one and try another technique to help you reach the next step. Don’t make budgeting a chore. We HAVE to breathe every day, but it’s not a chore, right? What techniques are you using that has brought you success? How do you think about the techniques that I listed here? Are there others I should look at? Did you have similar experiences with the techniques above? I’d love to hear from you! As I said earlier, budgeting is like a mirror. It’s supposed to help you figure out what your priorities are and what goals you have for your financial future. If you don’t, then I recommend a system that I’m using that’s helping me to visualize my goals, set priorities, and develop a plan for achieving those goals WHILE helping me to keep track of my expenses. It’s called the Cashflow Manager Pro. It also utilizes the Snowball Method in helping you determine how you can tackle debt. If you want to learn more about it, please click here. It’s an affiliate link, so if you do make a purchase through the link, I will be compensated and thank you in advance! 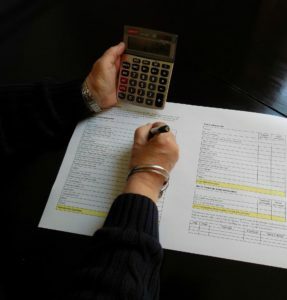 I think one of the first steps most people need to take before figuring out which budget will work best for them is to take a hard look at their finances. Not just the last few months but the past few years. Figure out if there are areas where you are consistently over spending. Do you have a habit that is costing more money than you can afford? Do you truly know the difference between need and want? For most of these budget ideas to work a person needs to know exactly what is important enough to spend their money on. Then I highly recommend the envelope method. I have used it many times in the past. There are even budgeting apps for your phone that will separate the money into envelopes for you. It all technically stays in your bank. You just see a visual envelope that slowly empties. You can prioritize more money for envelopes in your need categories than your wants such as in the 50/30/20 method. And pay off one bill at a time like the snowball method. They work great together. I agree. Thank you for your insight! I may try mixing the envelope method with the 50/30/20 method. Thanks again! A highly informational post! I’ve actually been employing the snowball method along with some debt consolidation in order to pay off my own debt, and so far it’s working pretty great! As you emphasized in your article, I think that organization is really the most important thing when it comes to managing your money, no matter what specific technique you choose. Thank you and I’m glad the Snowball Method is working for you!